Sleep like a bear or "dormir como oso" as they say in Spain. One trip to Animals Asia's Vietnam bear sanctuary is enough to convince anyone of the validity of this Spanish phrase. 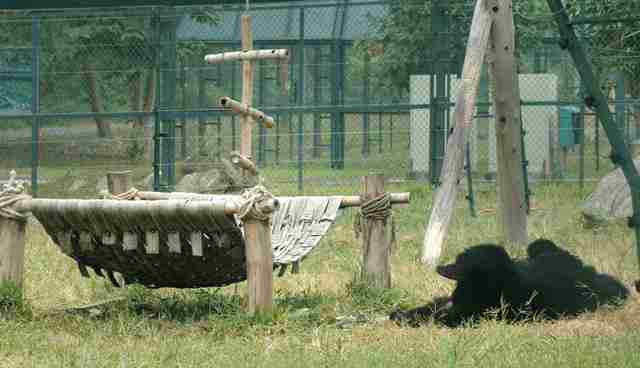 Once foraging is done for a morning, Animals Asia sanctuaries see virtually every adult bear fast asleep. Whether up a tree or underground, they tend to be far away in the land of nod. Animals Asia's Vietnam sanctuary is home to 110 bears rescued from the illegal bear bile industry. The cruel trade involves the brutal extraction of a captive bear's bile for it's entire lifespan – which can be up to 30 years. 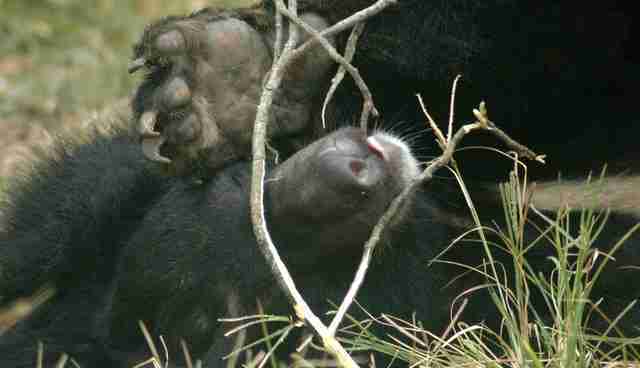 Nearly 2,000 bears remain on Vietnamese bear bile farms, with at least 12,000 more languishing in China. Animals Asia is committed to ending the barbaric industry and has set up sanctuaries in China and Vietnam to rehabilitate the broken bears saved from the farms. 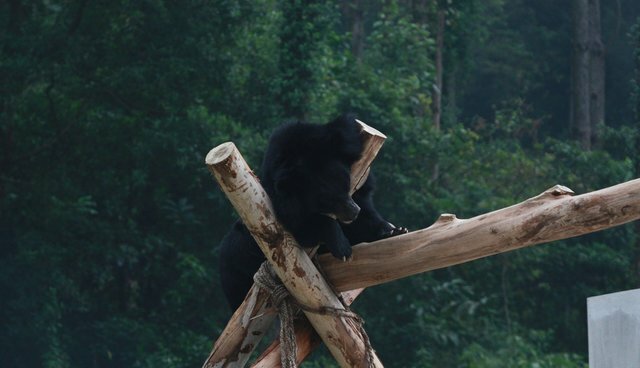 In sharp contrast to their former lives on bear bile farms, the bears at Animals Asia sanctuaries lead lives free from pain, with opportunities to express their natural behaviors. When we got our camera out recently, every bear seemed to have stopped mid-action, like the tin man in the Wizard of Oz, rusted mid-wood chop. One bear had made it to the concrete tunnel, and slumbered there in the relative cool. Another had climbed to the top of the highest structure, and perhaps overcome with fatigue, let his head fall on a wooden pillow. Many more were flat on their backs sheltering from the noon sun. Their bellies heaved up and down with every moon bear breath and some had their mouths open and tongues lolling in a state of sleepy abandon. Only the juveniles defied their instincts for a full-bellied snooze, but you can be sure it won't be too many years before they too become fond of catching a few extra z's. 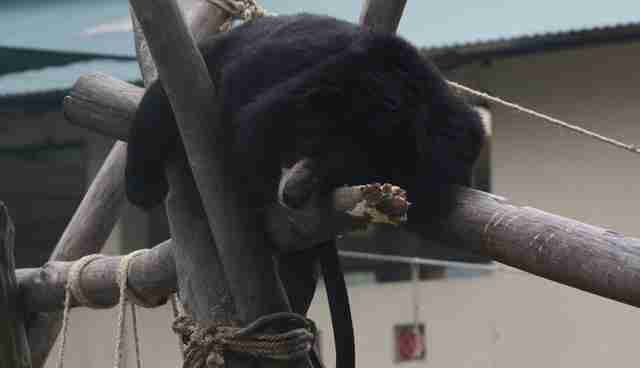 Europeans may be famous for their daily siesta, but what's little known is that moon bears love a noon nap too. 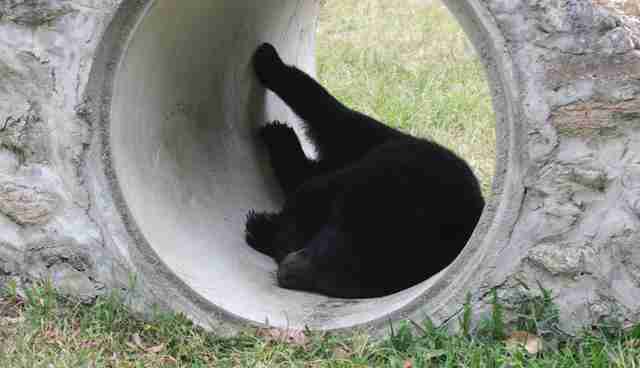 Have a laid back #moonbearmonday!